It has been quite a while since I last blogged but this blog topic has never left my mind. I like "Idol." Alright, I am embarrassed to admit, I try to watch every episode of the competition. The audition shows have never appealed to me but the competition draws me in. I love to see the amazing talent God has given so many in the area of vocals - a talent not shared with this blogger. But, why, oh why, does American Idol continue to push the envelope? Why oh why does every mainstream entertainment outlet have to outdo one another with raunch and excess? Why oh why is there no responsibility for providing wholesome content during the "family" hour - or is that too a thing of the past? From J Lo's ridiculously sensuous music video promotion to Steven Tyler's lust for young debutantes, I found my stomach tensing much of the time. If it weren't for wholesome Scotty McCreary and Lauren Alaina (and I am not a country music fan), I would have turned that TV off quicker than you can say "AHG!" But I didn't, the competition kept my "hooked" ....until the episode with "lady" Ga Ga. This woman ain't no "lady". Webster states a "lady" is "a well mannered and considerate woman with high standards of proper behavior." And, according to Forbes magazine she is very popular - "Ga Ga is the most influential celebrity in the world, surpassing Oprah and U2". Depressing, isn't it? And to see her "advise" the wannabes on how a star should behave was absolutely nauseating. I am finished with my beloved "American Idol." I will use those nights for activities that build my soul and my relationships. I am in the culture but refuse to be part of the American Idol Culture and the "stars" they deem successful. Good luck Scotty, I pray you maintain your faith and honor God in your choices. And remember, never, never take advice from a "lady" like Ga Ga! As for Stefani Germanotta, let us pray for her. She is God's child and has a soul aching to be in relationship with Him. I want to applaud you Patti for a very hard decision. My kids are younger than yours and it is just impossible to watch a show and tell the kids that it is entertainment only. We watch it but the behavior is not ok. It just doesn't fly. My mother always told me that you can't feed your soul trash and expect it to thrive. Of course then I thought she "didn't understand what it is like out there". Now I know exactly how right she was. Over two years ago we dropped our cable and went to only streaming internet for TV. There is still plenty of inappropriate stuff out there, but there is no such thing as channel flipping just to see what is on. My kids are watching "The Cosby Show" off of Netflix when they get TV time. I had forgotten how fantastic that show is. Every episode shows a family loving each other... which is what I want my kids to see and learn. We went to get ready for bed everytime a live singer came on it was so bad. We also love Cosby. It is my favorite show. I still laugh even when I have seen it 15 times. Mom is usually right and for a rare moment, my daughters agreed. 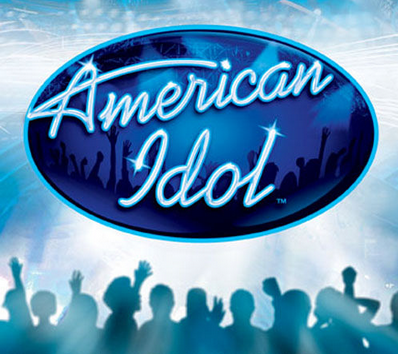 I finally decided to let my daughters, 10 and 13, watch Idol and see the Grand Finale Episode. Of course we all love the song "Like my mother does" by Lauren ... our favorite. So they wanted to see her on the show. But when Lady Gaga showed up, it ruined the entire night. My girls didn't even want to watch that. Like the ole scout skit ... "shovel it, pile it, pick out the good stuff"
We are becoming HUGE fans of Netflix because they have the old shows that are wholesome and good. I am amazed at how much my children love the Andy Griffith show and Cosby. I'm so thankful to have alternatives.